The Palace Chapel provides a framework for important events in the life of the Royal Family. 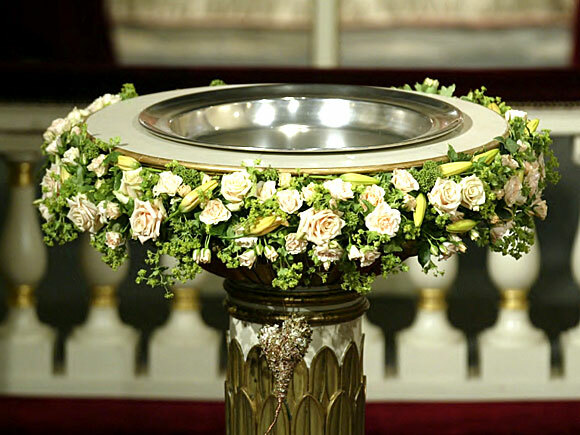 Christenings and confirmations are held here, and it was here that King Haakon VII and King Olav V lay in state so that mourners could pay their last respects. The most recent event to be held in the chapel was the christening of Prince Sverre Magnus in March 2006 and Emma Tallulah Behn in 2009. Services are held in the chapel on regularly under the auspices of the Church of Norway's student congregation in Oslo. Since 2002 the chapel has also been used for concerts, mainly in cooperation with the Oslo Chamber Music Festival. The chapel altar was erected over the foundation stone of the Royal Palace. 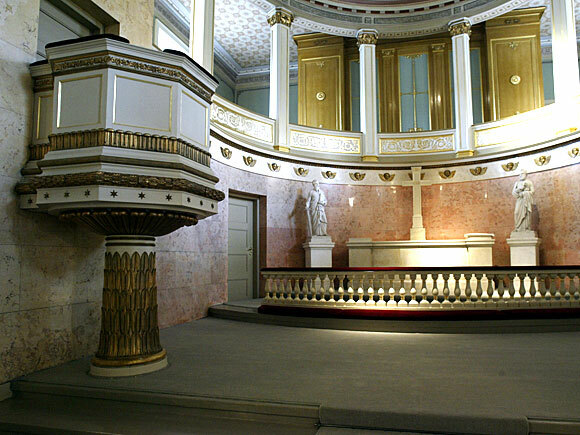 The stone was ceremoniously laid by King Carl III Johan on 1 October 1825, and the masons trowel used by the King is exhibited in the Upper Vestibule. The placement of the foundation stone beneath the intended site of the altar indicates the importance attached to including a chapel in the kings residence. 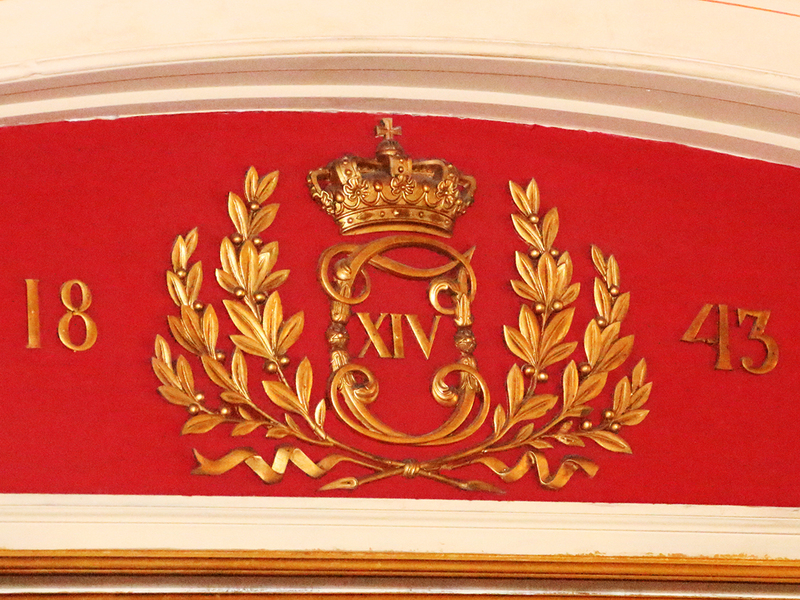 The Chapel is the only room that displays King Carl Johans monogram, and the date, 1843, is the 25th anniversary of his reign. The Chapel was not finished, however, until the end of 1844. Hans Fredrik von Linstow, the palace architect, designed the nave and choir in Berlin in 1837. Like the Great Hall, his design for the Chapel seems to have been inspired by the German architect Karl Friedrich Schinkel. The Royal Chapel has side aisles with galleries supported by six pillars on either side. 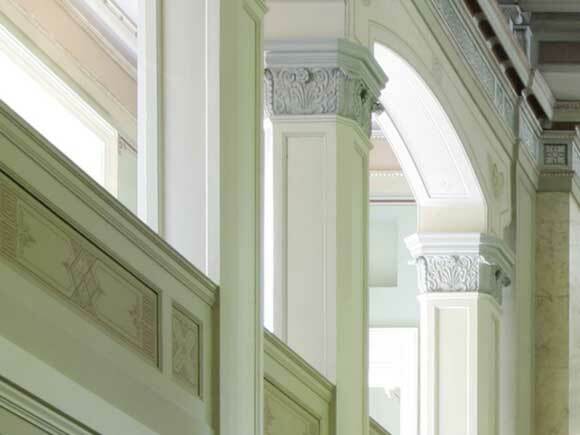 The dados along the side aisles feature plaster reliefs of the four evangelists by the sculptor Hans Michelsen. The choir ends in an apse, and the wall behind the altar is made of pink stucco marble. The organ is housed in the gallery above. The altar is made of white stucco marble. The gilded cross in the middle is flanked by Olav Glosimodts marble figures of the apostles Peter and Paul. The pulpit is white and gold. The other colours used were fashionable in the 1840s: grey, beige, green, violet and brown. The pillars, galleries and roof are made of wood, and are precursors of the wooden architecture that was to become popular during the second half of the 19th century. The richly decorated ceiling was painted by Peder Wergmann in 1843. 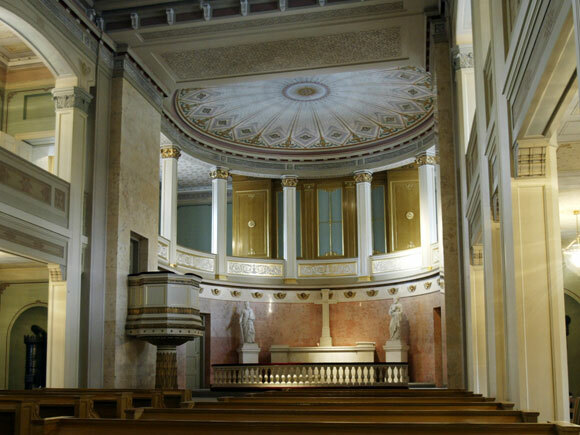 The Royal Chapel was restored in 2004 for the christening of Princess Ingrid Alexandra, and the interior is essentially the same as it was when the Palace was officially opened in 1849. The only missing objects are the original brass chandeliers that hung in the Chapel until 1903, which are now in churches in Vanse and Hole, in the counties of Vest-Agder and Buskerud, respectively. There are plans to have reproductions of these chandeliers made to recreate the original mid-19th-century lighting.